John O’Neill was appointed the first keeper at Concord Point Lighthouse largely in recognition of his brave actions during the War of 1812. Born in Ireland on November 23, 1768, he came to America at the age of eighteen. He was a gunsmith and served in the military under General Harry Lee during the Whisky Insurrection in 1794. Lt. O’Neill also served in the Navy in 1798 against the French. 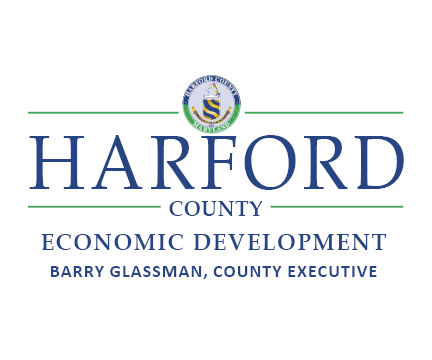 He was married to Mary Virginia O’Neill and at some point moved to Havre de Grace where he ran a nail factory and served as a town commissioner. They had 5 known children, Jane, Anne, Matilda, John Jr., and William. His family home was at 220 S. Washington Street in Havre de Grace. He became keeper at the age of 59 and served until his death in 1838. He is buried in Angel Hill Cemetery in Havre de Grace. John O’Neill became widely known for his heroic acts on the morning of May 3, 1813 when British forces under Admiral George Cockburn attacked Havre de Grace. 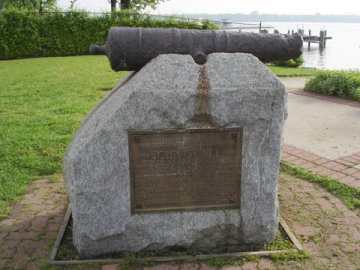 The story is told that as a member of the militia, O’Neill was manning the Potato Battery cannons at Concord Point when the British barges appeared. He commenced firing, but his fellow militiamen ran away. Firing the cannon alone, he was injured by the gun’s recoil and fled into town. British forces landed at Concord Point and eventually captured O’Neill who had continued to resist with musket fire. Word reached the town that he was to be hung as a traitor the next day. Popular legend tells that his 16 year old daughter, Matilda, rowed out to Cockburn’s vessel, the Maidstone. She brought evidence of his commission in the militia, and pled for his release. Cockburn gave her his gold-lined snuffbox in honor of her bravery and promised to release her father, which he did. O’Neill became known as the “hero of Havre de Grace” and received a ceremonial sword from the citizens of Philadelphia in honor of his heroism. The sword carries the following inscription:“PRESENTED TO THE GALLANT JOHN O’NEIL FOR HIS VALOR AT HAVRE DE GRACE, BY PHILADELPHIA-1813.” There are disputes about the exact events of the British attack, with some claiming that O’Neill’s heroism is overblown and Matilda’s actions are pure lore. However, both the snuffbox and the sword exist, handed down through the families, and are in the collections of the Maryland Historical Trust. MAY 3, 1813, UNTIL DISABLED AND CAPTURED. PHILADELPHIA PRESENTED TO HIM A HANDSOME SWORD. The memorial, relocated to Tydings Park in the 1920’s, was returned to its original location in 1983 after the restoration of the Lighthouse. Recently the focus of the SAVE THE CANNON campaign, the cannon was treated at the Maryland Archaeological Conservation Laboratory and restored to the monument base, cleaned by conservator Howard Wellman. Rededication of the monument was on May 2, 2010 at 2:00 PM.